Ten years ago, one of the best ways to connect with your clients was through email. Today, we’re seeing the strong presence of videos being used for real estate marketing. It is an innovative and effective way of reaching the target audience. It also is a good way of presenting your brand, communicating your company values as well as connecting with your clients and prospects. The latest statistics show that video marketing is not only effective, but the demand for it is growing at a very rapid pace. According to statistics 54% of people want to see more video content from marketers; YouTube gets over 1 billion users per month watching over 6 billion hours of video, and 1/3 of all online activity is spent watching video. Real Estate listings with videos get 403% more inquiries than listings without video, and 90% of users say that seeing a video about a product is helpful in the decision process. Now, if you haven’t made any videos yet, your first question might be how. There are several tools you can use to make and edit videos. But for beginners, let’s start with the simple apps. It is free and you probably already use it for personal videos and posting on your IG page. So why not use this as well as a marketing tool? If you are looking to do more in depth video give IGTV a try, a new offering from Instagram for long-form vertical video content, and it is shaping up to be a powerful contender in this arena. The rules on IGTV are still being written, so I recommend that you experiment and see which lengths perform best. If you’re familiar with Apple products, give iMovie a try. It may not be free, but for a minimal fee, you can make you videos using drag and drop. There are themes with built in transition, music, and colors. And when you’re done, you can publish directly to YouTube or VImeo or Facebook. One app you might not be familiar with is Magisto. Magisto has Emotion Sense Technology which captures the emotions of the people in the video. When you upload your video to the Magisto website, it will edit it in a way that will emphasize the emotion that your video conveys. It is a great tool for realtors who want to showcase the happiness of their clients upon closing on a deal. You might also want to try WellcomeMat. This online platform specifically targets real estate professionals including brokers, agents, and brands. They offer a host of software tools that could help you build your audience, direct traffic and listings to your site, and increase your reach. The WeVideo App. This app turns your cell phone into a Video Production Studio and it is pretty simple to use. Promo has a ton of Real Estate related video footage that you get access to and then can customize with your logo, brand colors and messaging. I would say that this type of video is the least effective but the easiest to create. It’s an easy-to-use online video maker with over 3 million users since we launched in 2014. Biteable allows anyone to easily create epic DIY videos using ready-made and customizable templates for use in content marketing campaigns e.g. slideshows, ads, explainers, social media etc. When you do decide to incorporate videos in your marketing strategy, the second question that comes after how is where. Where do you upload your videos for greater visibility and farther reach? Youtube is the second largest search platform on the planet, and is a great place to start. YouTube is owned by Google. If your YouTube page is properly optimized, it has a more than 50% chance of showing up on the first page of a Google search. So make use of proper SEO techniques, shoot creative videos, and post them on your channel. 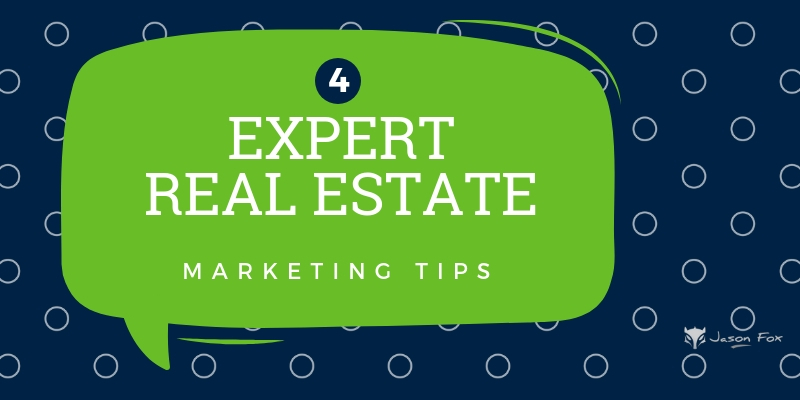 Make sure that there is always a link to your webpage in every video so that clients and prospects will have a chance to view your other properties. YouTube also has billions of users. Putting your videos up on YouTube will make sure that you will reach your target audience and then some. Facebook is also a good place to upload your videos. With 2.27 billion active users in a month, posting your marketing videos on Facebook will ensure that you reach your target audience and drive traffic towards your website or listings. This also allows potential clients to reach out to you personally through the Facebook Messenger app. This way, you can immediately connect with your clients and you can build a relationship right off the bat. Make sure you upload your video directly to Facebook for maximum results. They will give better rankings for a video that is natively hosted, rather than shared from Youtube. Instagram is not just for posting great vacation pics or lifestyle videos for the world to see. It is also a great platform to post your real estate videos. What better place to post videos and pictures of your properties than a platform built for pictures and videos. There are over a billion active users on Instagram every month, which means your reach will get exponentially bigger than just posting your videos on your website. You may need to make an Instagram version of your video as they will only allow you to upload a 60 second video. If your video is longer than 60 seconds consider trimming a version down specifically for the Gram. So now that you have the how and the where, maybe you’re thinking about what kind of videos you need to make to gain an audience. There are a few kinds of videos that is normally seen in real estate marketing. Try your hand at an Interview video first. This will help you show your prospects how happy your clients are with the service you provided and the property you sold them. An interview video is pretty self explanatory. This involves previous clients and sellers you’ve worked with in the past giving short testimonials about you and how you handled your transactions. You can do a Listing video. This is when you walk through a property as if you are showing the property to a client. Highlight the assets of the property like you would when faced with an actual client. This way, prospective buyers will see and get a feel for the place before actually physically seeing it. It will save time on both sides and will get you in contact with buyers who are actually interested in the property. How-to videos are a good idea as well. This type of video provides your clients with tips and tricks about the real estate industry. This will endear your agency to your clients because you are providing value in your videos. If you add “how to” to the title of your video, this will optimize it for search engines to pick up. Let’s not forget the Live-stream videos that are all the rage now. You can host Q & As while doing a live stream. This will show your out of town clients what the place for sale looks like. Do a virtual open house while you’re at it. This way, you are connecting to a broader audience real time and not just one prospective buyer at a time. Of homebuyers who use video in their search, 86% use it to research a particular community, while 70% use it to tour the inside of homes. A community video is a good idea to showcase the communities that you want to specialize on. It is a good way of getting the interest of clients and potential clients. After all, who doesn’t want to be in a safe and scenic neighborhood? Promotional videos are a good way to showcase what is different about your company or agency. Highlight what sets you apart, the extra mile your agents are willing to go, and the overall environment that your business has. This will be a good way to win listings for your agency as well. While you’re showing off your agency, you can make an Agent video. This type of video showcases your agents and their talents, what they bring to the company, and their personalities. Your agents are the face of your company. It will be a good idea to highlight them so clients will somehow become familiar with your agents and decide who best fits their buying style. Try your hand at a Humorous video. There is not a lot of those floating around out there, so putting these types of videos out there every once in a while will set you apart from the rest. Shooting this will not only be fun for the viewers but for those being filmed as well. One idea would be to do a lip sync video to a catchy song and make a mock music video. With all of these tools under your belt, you are now ready to start making your own real estate marketing videos. Just keep in mind to always optimize your videos and content so that they are easier to search for. Keep an eye on the current trends in the market so you can relate more to your clients. And always maintain your social media accounts so clients and potential clients will have more than one way to get in touch with you. This article is written by YouTubetoMP3Shark for JasonFox.me.